A musician and singer by heart, sportsperson by body and an agility learner by passion, having Master’s Degree in Computers Applications, and 13 years of experience in Software industry (Banking, Insurance and Digital Media) and its been 8 years now, since i adopted agile way of living and i am thoroughly enjoying it. I love to learn from people and share my learnings. 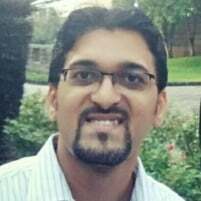 One of the committee members (volunteer) of SUGSA(Scrum User Group of South Africa), founder member of APGI (Agile Practitioners Group Of India). Use some of the agile frameworks to plan things at home as well and love it. I believe in creating legacy rather than creating an empire. My biggest strengths are openness, honesty and my passion for delivering business value with continuous improvement. From our experience, we have picked few dysfunctions and behaviors that are enough to kill soul of any organisation, slowly but surely. We will be using few games and polls to make people learn these dysfunctions. During this, we will also speak about Agile Spine Model (By Danie Roux, Kevin Trethewey, Joanne Perold) and Personal Behavioral Model, which can help people in making constructive decisions in various situations.